Downtown Madison, WI is a great place to visit and explore. 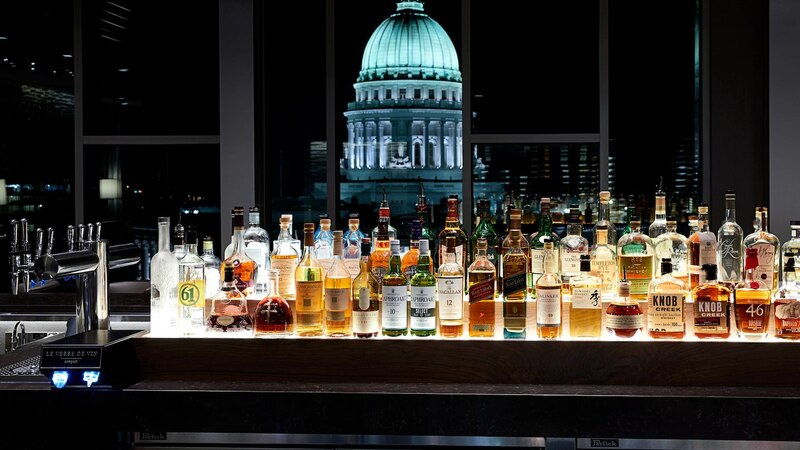 The city’s vibrant arts culture and foodie scene proves that Madison has something to offer everyone. From restaurants to attractions, many places are discoverable just by walking. There is no better place to start than a stay at the AC Marriott, in Downtown. 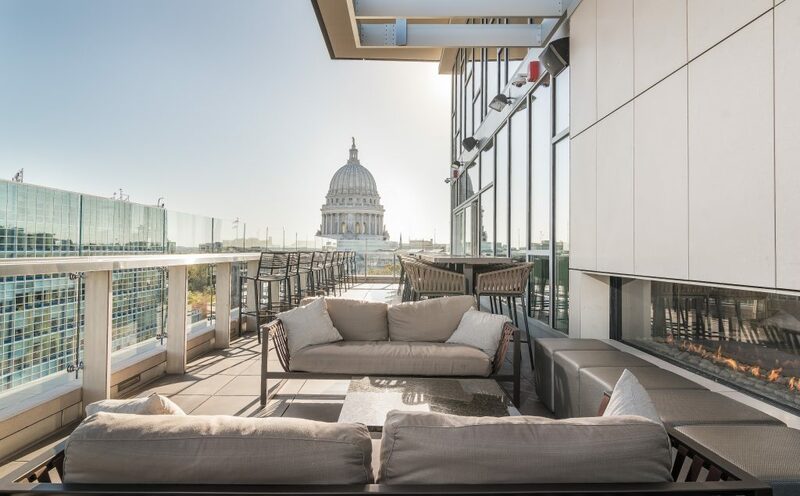 With a Midwest charm infused into European design, the AC Marriott offers the perfect spot to wind down and take in the quaint, yet vibrant, city. This hotel is the perfect blending of modern comforts, but still holding on to the classic styles that allow your visit to remain relaxing and comfortable. 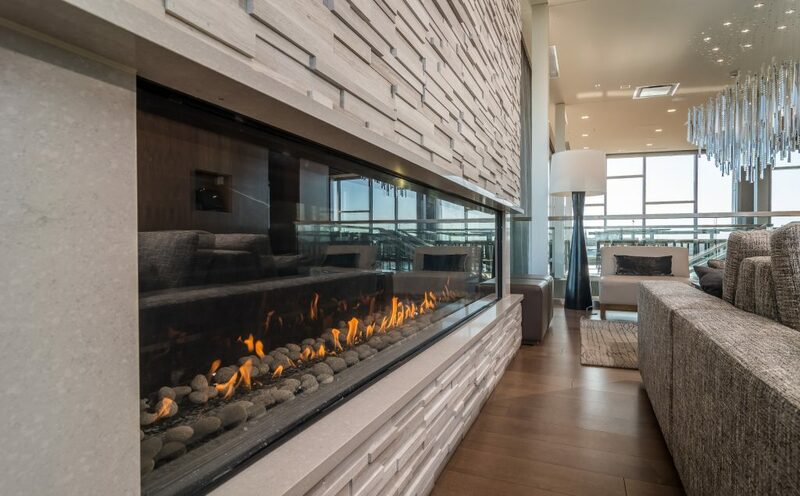 “Enjoy the mesmerizing flames, radiant heat and warmth that only a Flare Fireplace can bring to a room”. 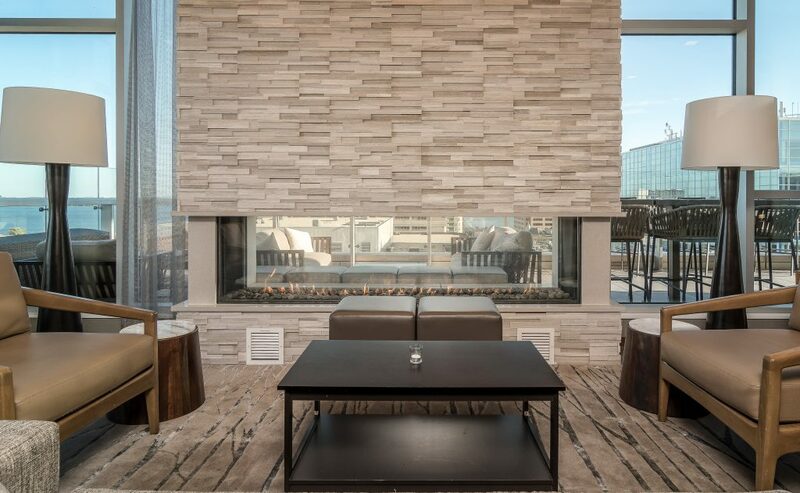 Flare Fireplaces has recently collaborated with AC Marriott and United Brick and Fireplace to showcase two stunning, frameless, linear gas fireplaces. 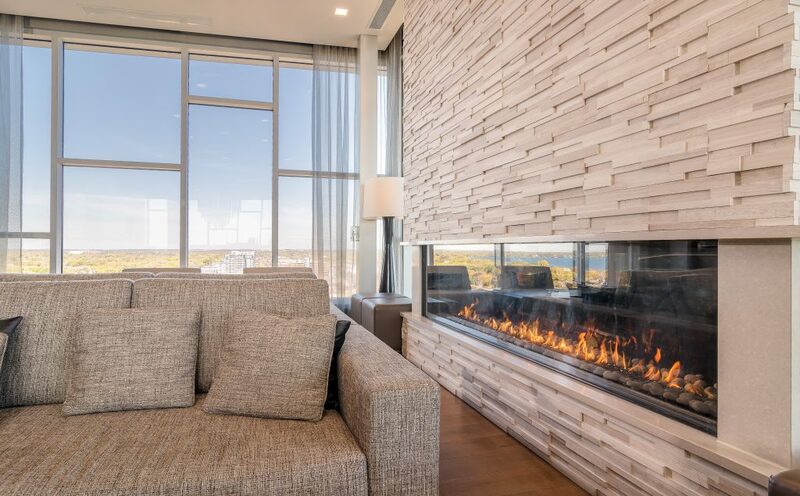 Both units are spectacular 100” fireplaces, including a Front Facing and a See-Through version. Gather on the amazing upstairs patio where you can enjoy the panoramic view of the State Capitol building and a gorgeous Flare See-Through Indoor/Outdoor 100”. The modern design and earthy ambiance evoke a sense of nature and serenity that will surely soothe the traveler’s mind. Considering that Madison, WI is one the only five gold-certified Bicycle Friendly Community, you can expect many places to be within walking (or bicycling) distance to the hotel. Take a tour of the Madison, WI State Capitol, the Wisconsin Historical Museum or the Overture Center for the Arts. When you are done with that, there is nothing like a refreshing walk to one of the many near-by restaurants. If you would rather take a meal at the hotel, the AC Marriott offers wonderful European cuisine at its AC Kitchen, Lounge and Bar & Bistro. While you are there, find a cozy spot next to the modern Flare Front Facing 100”. There is no better way to ward off the chill from Wisconsin’s famous cold temperatures. 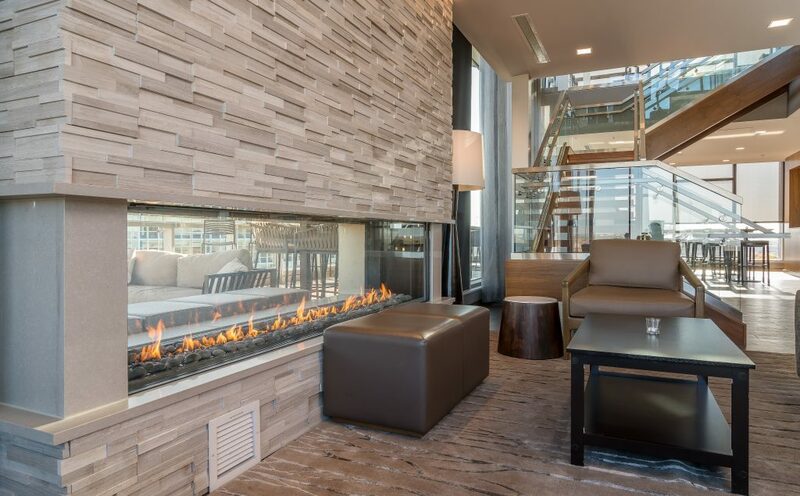 Enjoy the mesmerizing flames, radiant heat and warmth that only a Flare Fireplace can bring to a room. Don’t limit your experience of Madison to the traditional tourist attractions and restaurants – find time to discover the great outdoors while you are there. Travelling off the beaten path will allow you to understand all that Madison has to offer. Including, but not limited to, serene lakes, magnificent waterfalls, breathtaking forests, stunning hiking trails and natural caves, there is something for everyone in Madison, WI.